The age of the customer is here, and personalisation and consumer context are now ensconced in every marketer’s lexicon. Certainly, the single biggest driver of digital transformation is customer experience. With the customer in mind, and the end of 2016 fast approaching, CMO reached out to a host of marketing leaders, vendors and industry commentators to find out what 2017 holds for digital marketing. CMO wanted to know: What should marketers focus on to improve their digital marketing prowess in 2017? What big milestones and game changers for digital marketers in 2016 will shape 2017? What will be the biggest drivers of digital transformation? Where should digital marketers place more emphasis in 2017? From a range of opinions and varied responses, a list of 17 themes and trends surfaced. Chief among them is the importance of the customer experience. Experts agreed marketers need to create better targeted, more relevant and contextual communications, and work together to create better consumer engagement. The customer is at the centre of everything, according to Adobe Asia-Pacific vice-president of marketing, Marta DeBellis, who says marketers need to “walk in the shoes of customers” in 2017 and truly understand the experience their brand is offering. “Customers are interacting with brands across many different touchpoints and marketers need to be aware of how this experience affects the overall customer journey,” she says. Customer experience is the new competitive differentiator of success and it’s separating those brands which are pushing ahead with transformation, and those trapped in a business model of yesterday, DeBellis says. Sitecore CMO, Scott Anderson, agrees marketers should refocus on the customers they serve, and the expectations those customers have of the brands they do business with. “Six in 10 consumers are not satisfied with the experiences delivered by brands. While it is easy to get caught up in the complexity of so many trends that are changing the game for marketers and business in general, the starting point is the customer his or herself,” he says. The connected customer will continue to shape the marketer’s priorities in 2017, Salesforce APAC senior vice-president, Lee Hawksley, continues. The partnership between CMO and CIO will also continue to strengthen and deliver enterprise-wide value for organisations that centre on the customer. How do our 2017 predictions compare to this year's? 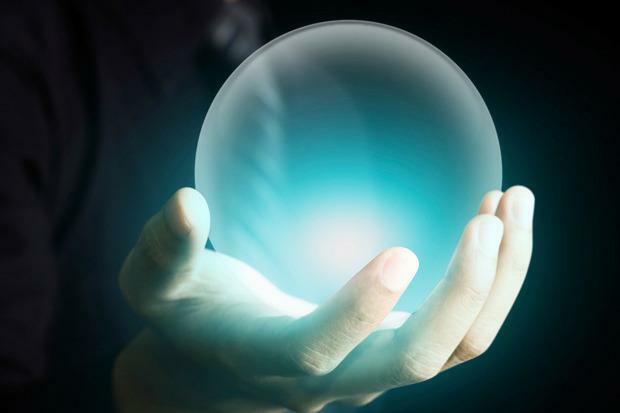 Check out our 16 predictions for 2016 here. ADMA CEO, Jodie Sangster, also sees a growing need to focus on the customer, and says it will be the biggest driver of digital transformation in 2017. Sangster suggests marketers focus on measurement in 2017 in order to improve their digital marketing prowess, and get better in touch with the customer. CEO of IAB Australia, Vijay Solanki, is another who believes ‘measurement and data’ are going to shape customer experience. The obsession with augmented reality (AR), virtual reality (VR) and machine learning/artificial intelligence is not slowing down anytime soon. In fact, Adobe’s DeBellis says these technologies, which have already started shaking up the way digital marketers operate will shape activities in 2017. Machine learning and pattern recognition will be particularly significant around personalising messaging to individual prospects and customers in a way that strongly resonates with them, LogRhythm regional marketing director Asia Pacific and Japan, Joanne Wong, says. Accenture Interactive managing director, Tim O’Neill, sees VR continuing to make headway and becoming the tech to watch in 2017. And he’s one of a number of experts that agree the technology not only enables companies to connect with consumers in a deep and meaningful way, but it brings company efficiencies and monetary gains. According to Eaton Power Quality marketing manager, Trang Dao, continued automation for optimising business and marketing processes, along with machine learning and artificial intelligence, are all areas that allow for large increases in productivity and efficiency, helping organisations to realise digital returns. Certainly, the rise of the immersive experience is a powerful marketing tool, according to GroupM CEO, Mark Lollback. “In 2016, marketers saw a taste of what augmented reality could offer with the launch and unprecedented growth of Pokemon Go. Grossing new revenue of $10 million a day at its peak, marketers could now see that augmented reality wasn’t just a distant future thought, or only for the console gaming masses,” he comments. Meltwater director A/NZ, David Hickey, was more conservative about take-up but points to VR take-up in industries such as real estate and tourism as a sign of its proliferation. “If you think about off-the-plan home purchases, VR will allow realtors to show potential buyers exactly what the new property will look like before it’s even built - this will be huge,” he add. Data has given marketers the power to demonstrate ROI and drive business growth, and there’s no doubt data utilisation will remain a major priority in 2017 for marketers as they look to maximise media returns and engagement opportunities through digital and physical touchpoints. Next Gen Health and Lifestyle Clubs director of marketing and products, Andrew Savage, sees digital marketers focusing mainly on data in 2017, with the aim of knowing how to further leverage and consolidate known data to create a single customer view and then to effectively use that to engage customers through one-to-one touchpoints. For LogRhythm’s Wong, protecting a company’s most prized possession - its customer data - is vital. “Arguably, every marketer’s biggest asset is its customer data. This in turn, is also the asset under the biggest threat from cyber attackers,” she says. “With the increased frequency and sophistication of website hacking, spamming, phishing and malvertising [the injection of malware into advertisements on legitimate sites], the website is the ultimate gateway for malicious attackers to steal customer data and deface the company's online assets.